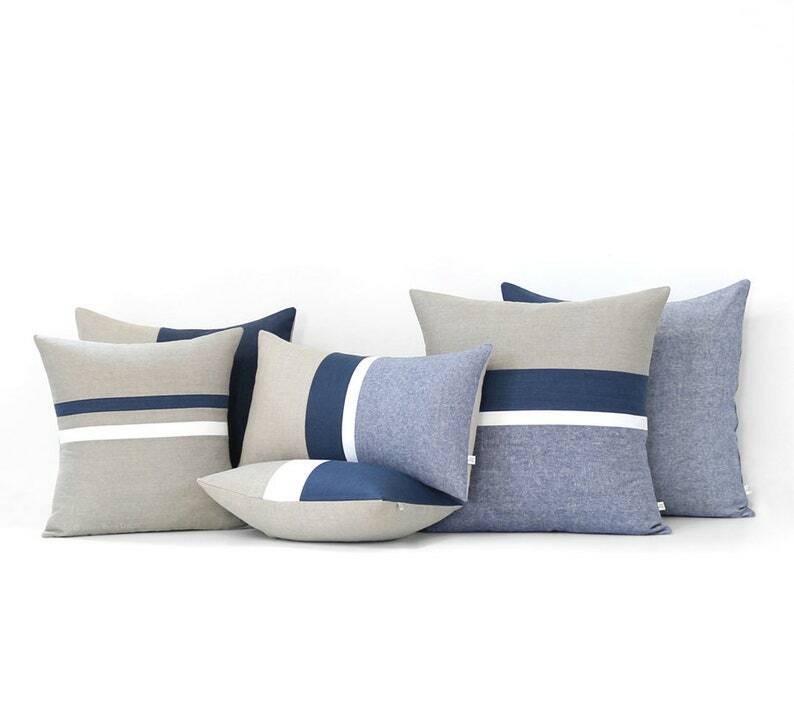 NEW :: Navy Striped Linen Pillow Cover Set of 6 in Blue Chambray, Navy, Cream and Natural Linen. We've combined our new and most popular styles in one beautiful minimal look. 6 total. 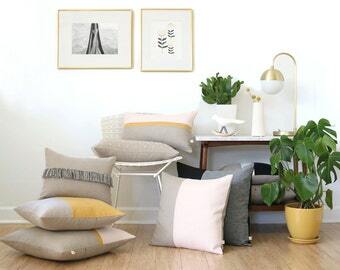 This set will make your living room complete with the endless mix & match options. If you're interested in a customized set please don't hesitate to contact us! - Front: Blue Chambray and Navy Linen. - Front: Blue Chambray, Navy, Cream and Natural Linen stripes. - Front: Navy, Cream and Natural Linen colorblock stripes..
- Front: Navy and Natural Linen. - Front: Navy, Cream and Natural Linen Stripes.